T&D Electrical is an authorized Kohler dealer, meaning we have exclusive access to the full line of highly reliable Kohler products. Each Kohler generator is backed by the industry-best service and support, so you’re never on your own. Take a look through our catalogue of options and give us a call so we can guide you in finding the perfection solution for your home or business. Generator installation comes with a lot of benefits for anybody. With a power generator, you’ll always be prepared for the worst. In the event of a power emergency, your generator will keep you online through thick and thin. Downed utility lines and disrupted electrical service are problems of the past with our top-of-the-line Kohler generators. In our extensive experience, nothing can provide you with the peace of mind you need during the cold winter months like a reliable standby generator. A standby generator is a great way to protect your home or business from lost revenue. In almost all situations, businesses rely heavily upon electronics for continued service. When power goes down, your ability to serve your customers is gone as well. This can cost you hundreds, if not thousands of dollars, in lost revenue. A standby generator can prevent all of this. Your cash registers will continue to function, as will any computers or specialized equipment you need to continue your day-to-day operations. Even when your competitors’ businesses go down temporarily, you will keep going and you can gain the advantage. 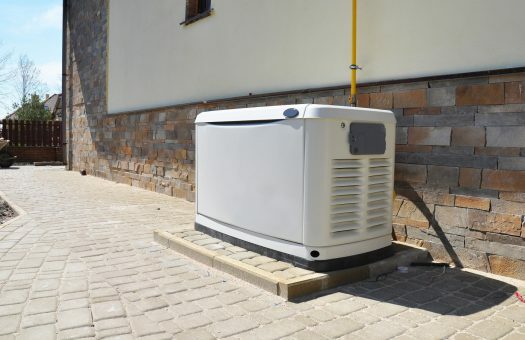 Standby generators are a great way to keep your home comfortable through even the worst situations. Candlelight has some romantic ideas and connotations but trying to live your life that way in the modern age can be a miserable experience. A lot of times, we take for granted all the things in our lives which rely upon electricity, but when those things are gone it can be incredibly inconvenient. No electricity means no television, no Internet, and no light to see where you’re going! In the winter months, this also means a loss of heat which can even become dangerous. With a generator, you don’t have to worry about losing any of the comfort of your home, even during the worst power outage. Losing electricity presents a lot of health and safety hazards as well. Infants, young children, and the elderly often rely upon electrical devices in some capacity for their health and wellbeing. Medical devices your children or grandparents need in order to survive may cease functioning if the power goes down, and this can have fatal consequences. Ensure the safety of your family and everyone in your home with a standby generator. In some cases, even momentary lapses in electrical power can have life-threatening ramifications for those who need steady and constant medical care. At T&D, we also go above and beyond simply installing a generator. Our contractors will also take the time to make sure you have a complete understanding of your new generator. We’ll answer any questions you have and walk you through using the new device so you’re completely comfortable before we take our leave. In order to avoid lengthy delays between the power going out and the generator cutting on, we can also install a transfer switch and power monitoring system. This way, as soon as your power goes out, your generator will kick on. Installation is not the same in all cases. Our contractors will take the time to carefully assess your individual situation and come up with the perfect installation to suit your needs. Give us a call to learn more!